This entry was posted in Dogs and tagged deer, dog, dog in tree, Squirrel by Sage. Bookmark the permalink. Gee, Sage, I hate to say it, but I think some of your cousins are a bit strange! Ha ha you dogs – you’re always up to something but I never thought I would ever see one of you up a tree! 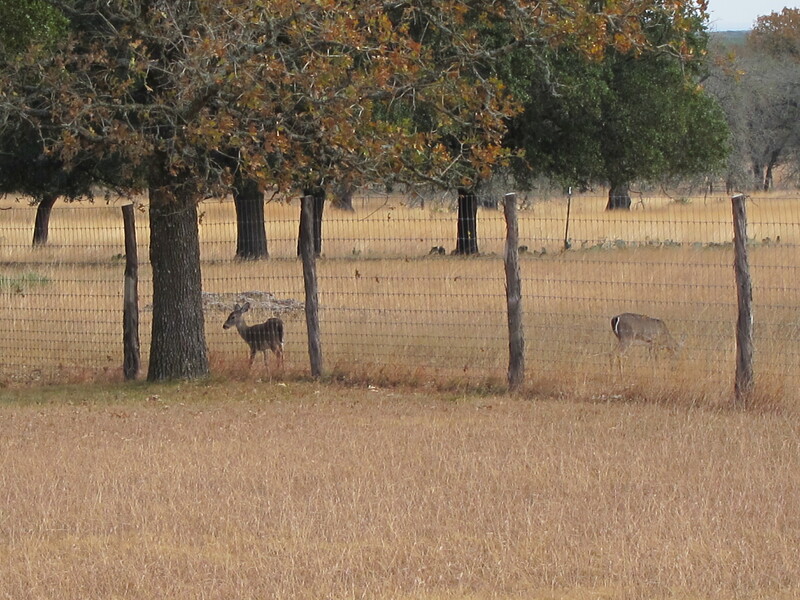 Maybe I should try that to check the trail ahead for hunters…I am the same color as the deer ya know. Thanks for stoppin’. Y’all come back now. Hmmmm. I wonner if’n there be no skwerrels in the tree coz the dog be in the tree? I’ve heard of small dogs that jump up when they lift their leg so it appears their scent came from a bigger dog. Do you think Dexter is trying to pretend he’s a mastiff? P.S. – That’s pretty cool that your cousin can climb trees. My Zoe would love to chase squirrels up the trees. Happy barkday Sage! Your cousin is a pretty good tree climber! That is so funny. 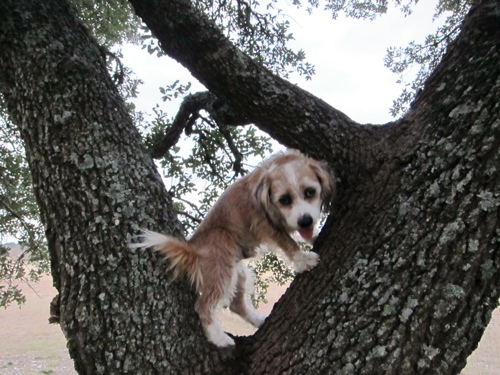 I’ve tried to encourage my dog to climb trees but so far no dice. She could stand to learn something here. Happy Birthday Sage. How old are you. I hope they come home from Texas soon. hahaha, I never saw a dog climbing on a tree before :)! Great! 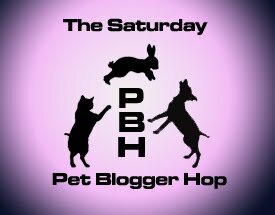 Thanks for hopping by on our blog. We can’t find a Google Friend Connector on your page, is there a possibility to follow your site? Wish you a wonderful Sunday :)! That’s quite a feat, climbing so high!